Before this past weekend, I had always been terrified at the idea of waxing. I mean, the only thing I had to go off of was movie scenes of screams and tender red skin. But as you all know from my Tria process with my legs, I’m trying to find more effective and long-lasting ways to remove hair and keep my skin smooth. And so, I thought I would finally woman up and try out waxing to see if the results outweighed its bad rap. Since I’m using the Tria on my legs, I decided to test waxing at home on my underarms. One of the big differences between waxing and shaving is that waxing will take out the hair from the root, which will usually produce longer-lasting removal up to 8 weeks. With that said, the hair you plan on waxing needs to grow out to about 1/4 – 1/2 an inch length so that there’s something for the wax to grab on and uproot the hairs properly. It took everything in me not to shave every time I showered— especially with the hot weather and my recent avoidance of sleeves. But I managed to let my underarm hair grow for about three weeks. While there are a lot of different waxing products on the market, I was looking for something quick, easy, effective, and of course a good value. 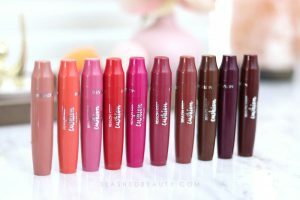 I was introduced to BodyHonee, which makes waxing products that not only claim to be all of these things, but also that are made of all natural ingredients. They say it’s so safe that you can eat it… flashback to that episode of Friends when they’re trapped in the bedroom with only wax to eat! 🙂 I loved that it includes natural avocado oil, which helps nourish and soften the skin while it works. I opted for the Spa Wax Extra Strength Hair Removal Kit, since my hair is thick. Also, because this was my first time waxing, my hair follicles were stronger than someone who has already been waxing, so I needed something that was really going to get the job done. 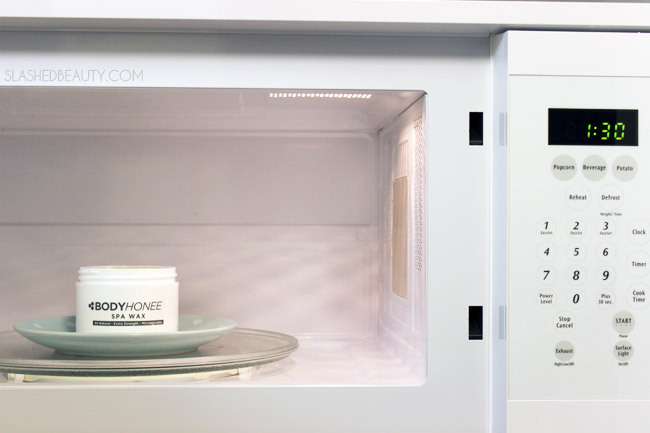 The wax comes in a microwavable tub that contains a generous 10 oz of product. Right off the bat, it has a very thick but slightly cushy feel, but after a minute and thirty seconds in the microwave, it thins out to a spreadable consistency. It’s important to remember to let the wax cool a bit straight out of the microwave, and test the heat on the back of your hand before applying to the hair so that you’re sure not to burn yourself. Once the wax cools, you want to apply the wax with the accompanying spatula, spreading in the direction of hair growth. 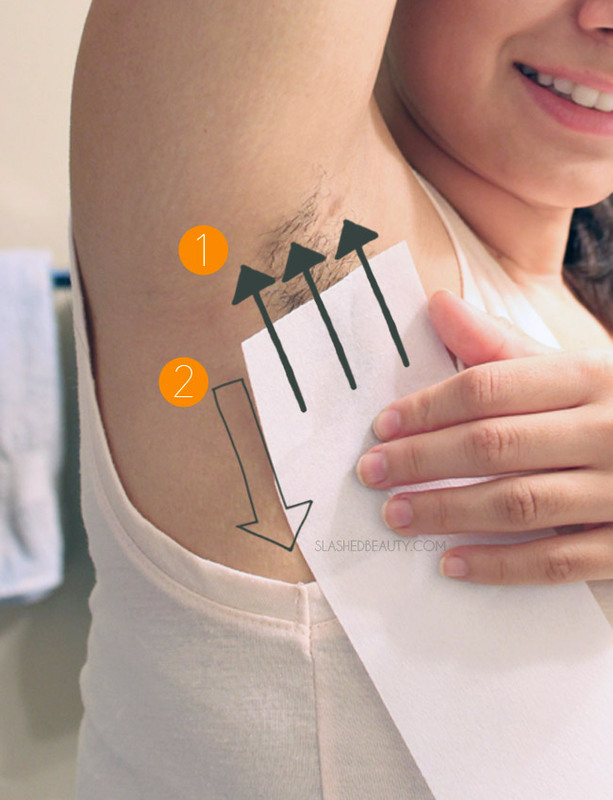 The underarms can be tricky to wax, since many people have hairs growing in different directions. Luckily, mine only grow upward. If you have two or more different hair growth directions, you’ll want to work section by section. After the wax is applied, it’s time to smooth the strip on top of it, sliding your hand in the direction of hair growth to help the wax adhere to the hair. After it’s flattened out, pull immediately in the OPPOSITE direction of hair growth. It’s important to keep the strip close to the body when peeling it off, which will keep the tension toward the root and remove the hairs most effectively and less painfully. To be honest, after you get over the first shock and know what to expect, the sensation dulls and it doesn’t hurt as much. Sorry for the TMI picture, but I felt it was important to show you how well it worked! After the first strip, I was hooked. I couldn’t believe how well the wax worked to really grab my hairs and leave my skin feeling extremely smooth. I will say that it’s a lot easier to do this with a helper, although it’s not impossible to do by yourself. The second I accidentally got wax in my hair, I commissioned Adam to come help apply the wax. He actually went ahead and did the peeling of the strip for me too, and let me tell you: I think he was born to wax, haha! We were both extremely impressed in both his skills, but mostly how well the Spa Wax worked on my thick hair. For $18, you can go to the salon and get your underarms waxed once. Or you could grab this kit, do it from the comfort of home, and get enough product for like, twenty waxes. I’m all about that cheddar and time savings, you hear? 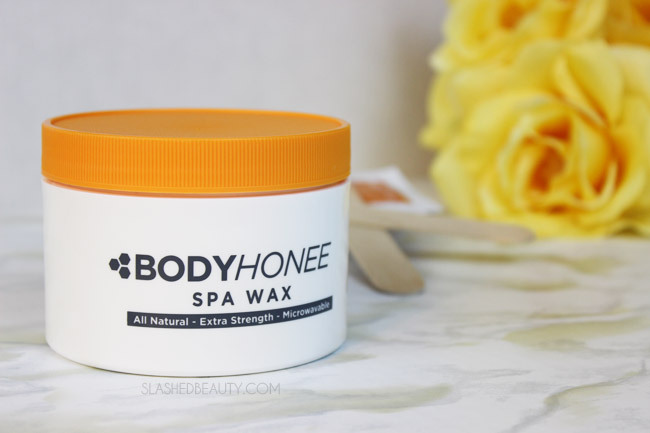 Grab the BodyHonee Spa Wax kit on Amazon and check out their other products for different hair textures and parts of the body on their website. 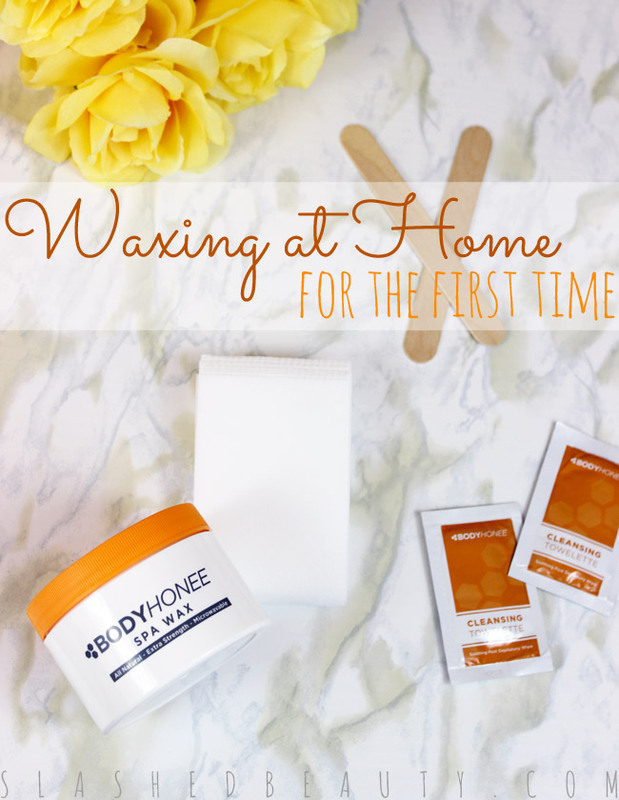 Do you remember your first time waxing? I do pre wax strips usually. Hate the heating up process! Looks easy enough though and works nicely! Wow this looks great!! Definitely something I would try! I was honestly floored with how well it worked. Officially converted! Right?? I was contemplating leaving it out but I really felt the need to show how well it worked. I was pretty scared too but after the first one it wasn’t all that bad. Definitely impressive. I don’t think I’d have the nerve to pull it off my underarms so someone else would have to help me. I’ve tried at-home waxing. I used the bliss wax. Of the ones I’ve tried it was my favorite. I did my underarms, and even gave myself a Brazilian. It wasn’t bad at all. I tried home waxing only once. I couldn’t gather up the courage to pull the strip for a long time, so I yelled “FIRE” and pulled it and my neighbour turned up asking if she should call the fire force. Should have got her to stay and help lol. I have tried and failed to wax at home. I can’t ever pull the strip off fast enough. But I love getting waxed. We both find pleasure in grooming each other. He also likes popping my pimples even though it’s a bad habit LOL! WAXING IS MY LIFE! 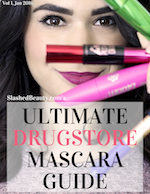 I use the Nads brand body strips and LOVE it but I will check this out too!